Welcome to Baden-Baden’s municipal recreational forest and to the North/Central Black Forest area of outstanding beauty (“Naturpark Schwarzwald Mitte/Nord”). 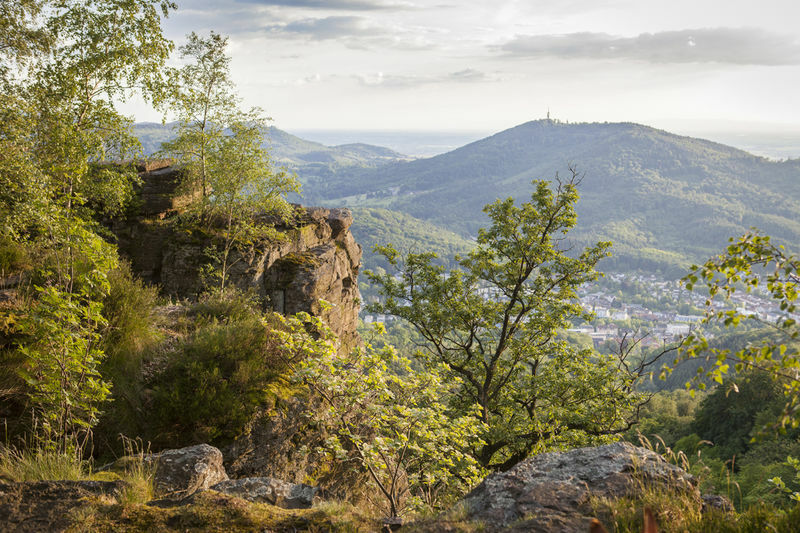 The forest areas on the slopes of Merkur mountain offer visitors a variety of attractive hiking trails, most of which follow good-quality, easy-to-walk paths. Recreation and education go hand in hand here. A first port of call might be the nearby wildlife enclosures where you can watch our native wild animals in near-natural surroundings. 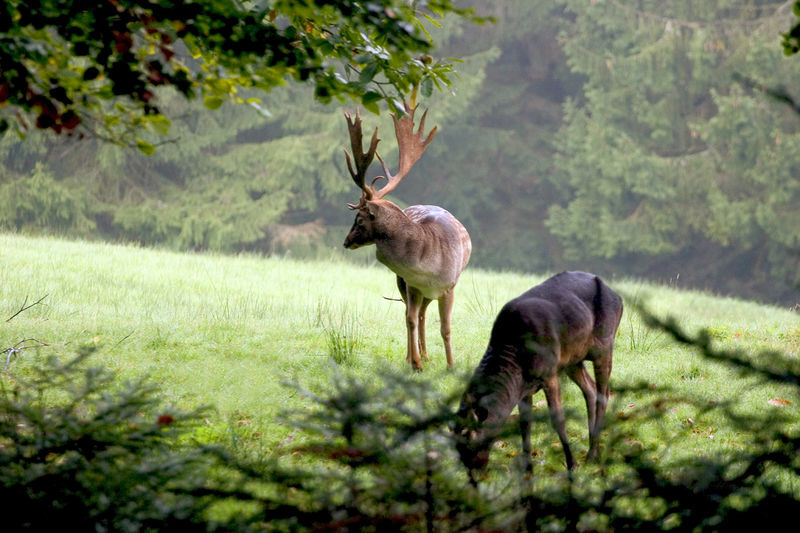 Early-evening visitors in the autumn may be lucky enough to experience the rut, stags fighting in the mating season. Interpretation boards provide detailed information about the animals. The ‘Wildgehege-Rundweg’, a circular walk to the wildlife enclosures, takes in all the important observation and feeding points and is also suitable for children. Next up is the summit of Merkur, which you can reach on foot as well as by funicular railway. On your descent, it’s worth taking a detour to Wolfsschlucht, a small ravine, not forgetting to take in Teufelskanzel – the ‘devil’s pulpit’ – on the way. It is on this prominent rock outcrop that the devil is said to have argued with an angel. The angel’s pulpit, Engelskanzel, is directly opposite on the other side of the road, adorned with a cross. Today the Teufelskanzel offers lovely views of Baden-Baden’s old town with its striking collegiate church. The rocky landscape around Engelskanzel and Teufelskanzel is a taste of things to come at Battert rocks further west, which are the same stone, rotliegend sandstone. 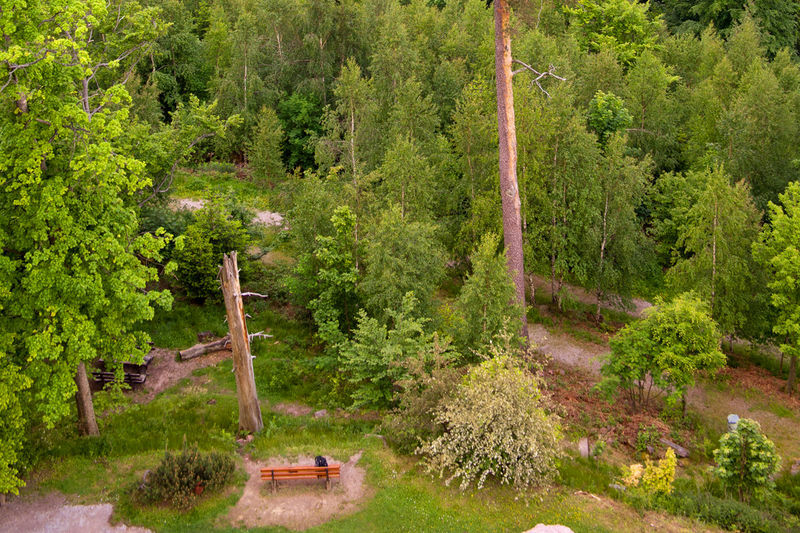 If you’d like to find out more about Baden-Baden’s eventful geological past, visit the feature called Mercury’s Cubes (“Merkurs Würfel”) on the summit plateau. Along the path the different types of rock that occur in and around Baden-Baden are on display. Wildgehege-Rundweg, circular walk to wildlife enclosures: 4.6 km, total ascent 160 m: Merkurbergbahn (lower terminal funicular railway) – Rotwildgehege (red deer enclosure) – Schwarwildgehege (wild boar enclosure) – Dammwildgehege (fallow deer enclosure) – Eckhöfe (farmsteads) – Rotwildgehege (red deer enclosure) - Merkurbergbahn (lower terminal funicular railway). Circular route via Merkur summit: 8.5 km, total ascent 430 m: Merkurbergbahn (lower terminal funicular railway) – Meisenköpfle – Merkur summit – Teufelskanzel (rock outcrop) – Meisenköpfle – Langengehren (allotments) - Merkurbergbahn (lower terminal funicular railway). If you don’t park at the funicular railway lower terminal, you can continue your walk via Wolfsschlucht (small ravine) to Battert rocks and then descend to Baden-Baden. 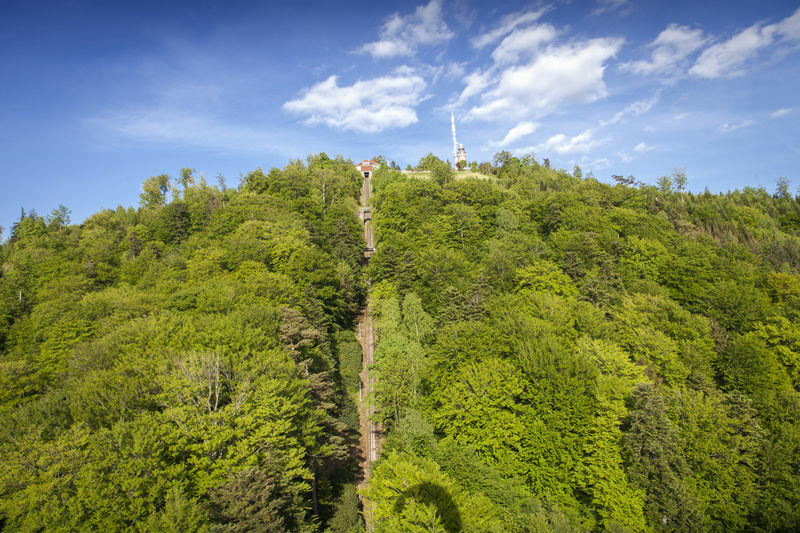 "Panoramaweg" – the panoramic trail: The "Panoramaweg" is a 40km-long circular trail around the town of Baden-Baden. It comprises four sections which, depending on fitness levels, can be walked individually or combined. From the funicular railway lower terminal you can follow the Panoramaweg, the panoramic trail, to Wolfsschlucht (small ravine), Teufelskanzel (rock outcrop) and Battert rocks, continuing to the viewing point at Sophienruhe and then descending to the spa town of Baden-Baden. In the other direction the route takes you via the Eckhöfe farmsteads and through the meadow orchards around Oberbeuern to the Forellenhof restaurant and hotel. On the way you will pass through the Märzenbach and Pfrimmersbach valleys, both of which are within a nature conservation area.